For 50 years, women have dedicated their time and efforts to serve the community on the Miss Lassen County court — and now the event wants to celebrate the half-century of service in a special way. 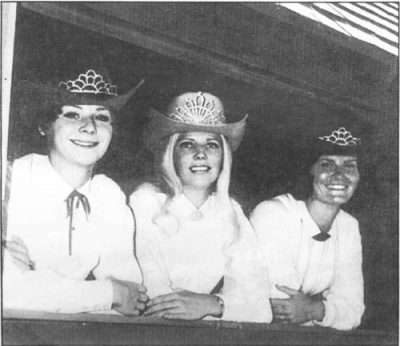 The 1968 Miss Lassen County court Second Runner Up Jan Langley Green, left, Miss Lassen County Penny Bauer Ence and First Runner Up Donna Weeks pose in their cowboy hats and crowns. Now, Pageant Director Shelley Bennett is seeking past court members and photos for the 50th anniversary of the pageant. 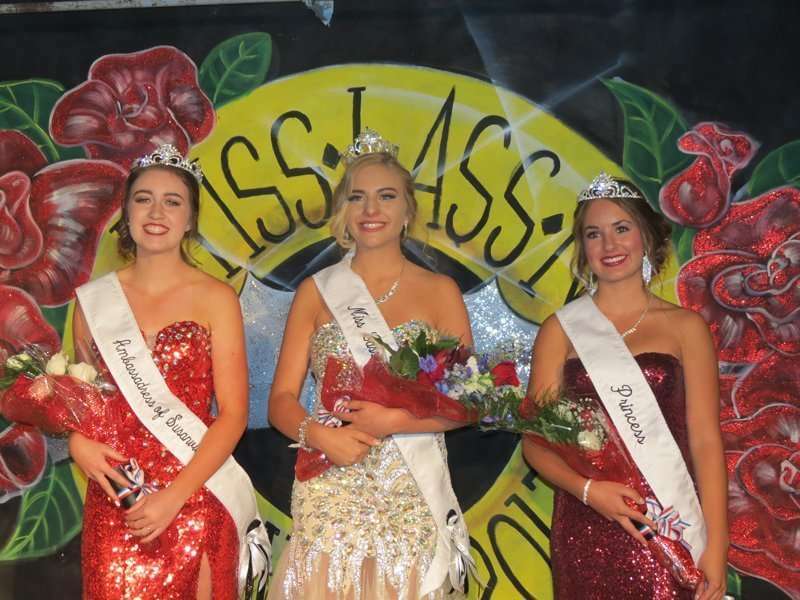 Pageant Director Shelley Bennett, who was a past Miss Lassen County herself, is seeking past court members to have them participate in the scholarship competition on the first day of fair at 7 p.m. Wednesday, July 18 at the Grandstands. She is also looking for pictures for past pageants and courts. To reach Bennett, call her at 249-3830 about photos or to be apart of the pageant. Early on, the pageant was just a part of a rodeo, then in 1968, it started to transition into the event it is today. In the early pageants, contestants were judged on swimsuit wear, an interview and western wear. However, one pageant director changed that when she switched the local competition to model that of the state pageant, which many court members end up competing in. Now, the contestants are judged 15 percent on community service, 15 percent on scholastic achievement, 15 percent on communication skills, 20 percent on talent, 20 percent on personality interview and 15 percent on impromptu question and poise. This year’s pageant features nine local high school seniors, Bailey Nuckols, Ariana Miranda, Becky Struthers, Kendall Hubbard, Sophia Meraz, Hannah Heimbigner, Hailey Moore, Megan Mackay and Gracie Claypool. 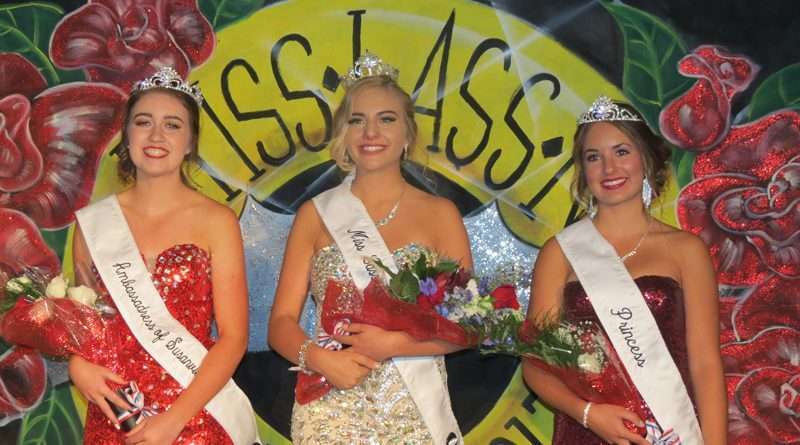 Miss Lassen County and her court, the princess and the ambassadress of Susanville, will be crowned during the finale of the July 18 ceremony.